This is my favorite granola mix. There are 9 ingredients in the mix and flavored with cinnamon, vanilla paste, and maple syrup. I called it My Skinny Granola. It's crispy with a slight hint of sweetness. Great with Greek Yogurt and some warm berries. 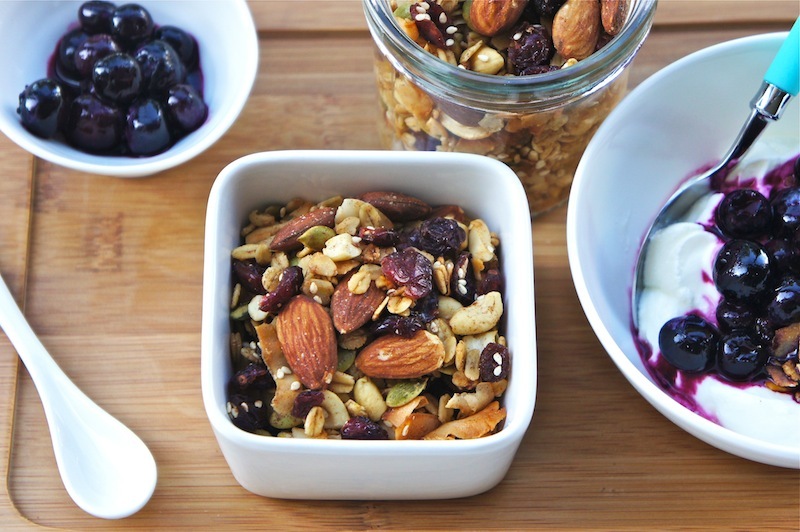 A fantastic energy-boosting granola breakfast to start your day. Preheat the oven to 350 ˚F. Line a large baking tray with parchment paper. In a large bowl, combine the oats, barley flakes, pumpkin seeds, cranberries, raisins, cashew, almonds, coconut, sea salt, and mix well. Then add the vanilla, maple syrup, and peanut oil and mix thoroughly until all the dry ingredients are coated. Spread the mixture onto the prepared baking tray and spread evenly. 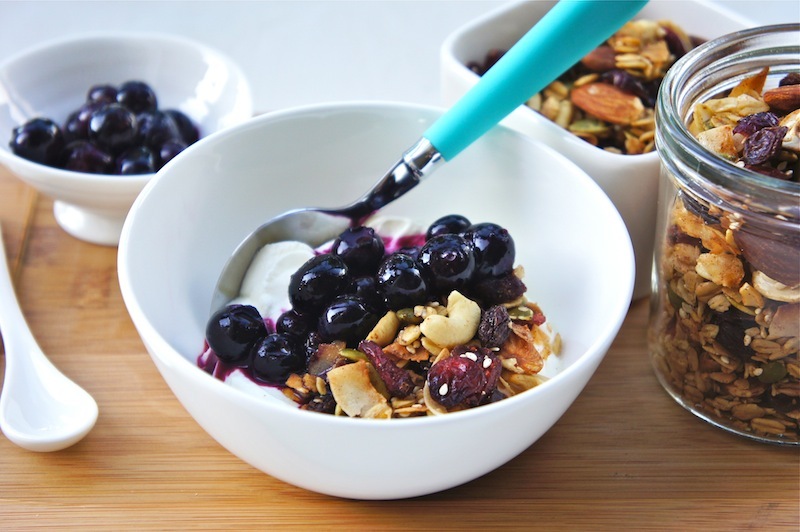 Bake for about 23 to 25 minutes; stir the granola with a spatula several times during the baking and let cool completely before serving.